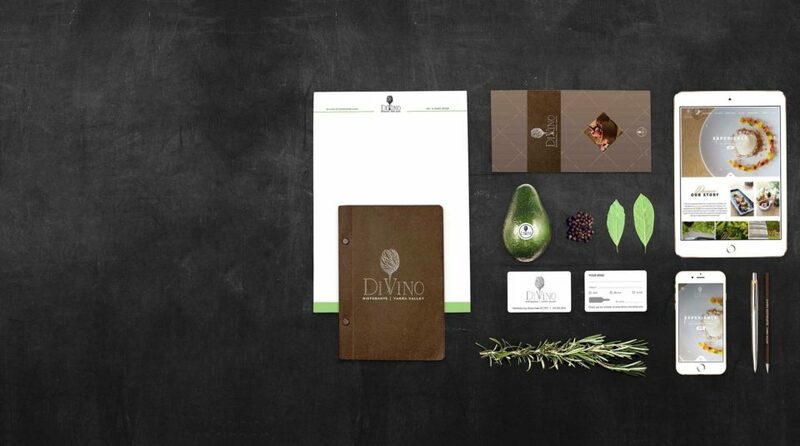 The natural, organic feel of the logo was designed to reflect DiVino’s farm-to-table philosophy as well as showcase the restaurant’s winery. 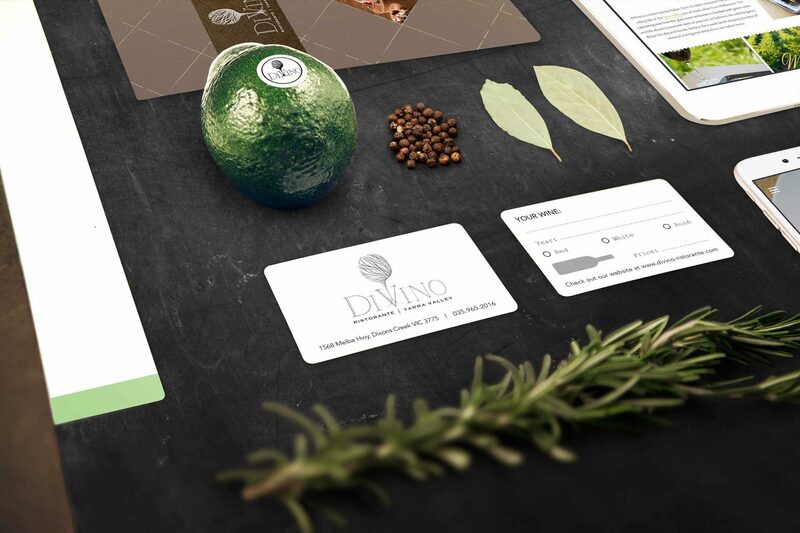 The back of the business card incorporates information fields, ideal for recording the type of wine enjoyed with the meal. Other collateral assets include menus and branded stationery. 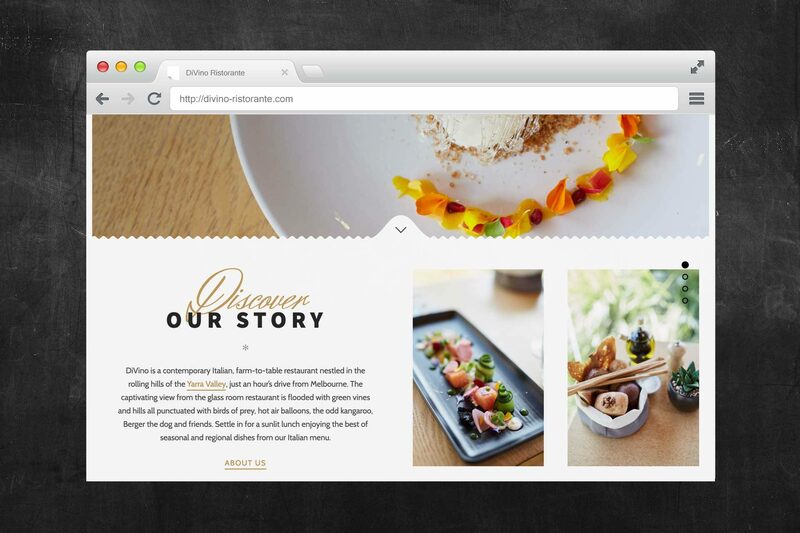 The website is clean, modern and utilizes the same color palette as the restaurant’s décor. One can experience the architecture and stunning location of the restaurant just by viewing the website. A blog has also been incorporated into the website with weekly entries posted and cross-channel promoted through Facebook and Instagram. Visitors can also book a table by filling out and submitting a form. 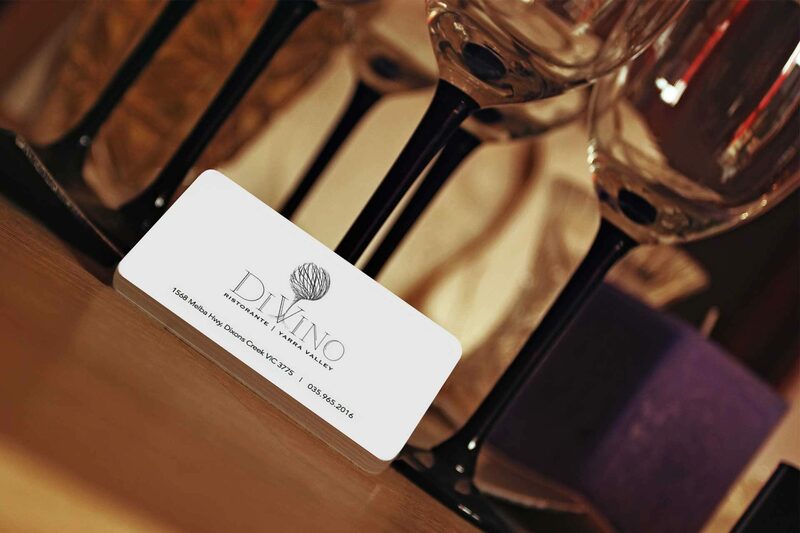 Visitors to the website can submit their names and emails in order to receive DiVino’s monthly newsletter subscription. Integration of CRM tool within website blends newsletter emails seamlessly into the campaign workflow and makes it easy to automate further steps such as syncing contacts’ responses to the newsletters. Digital brand positioning requires consistency of imagery and quality of posts across social channels. 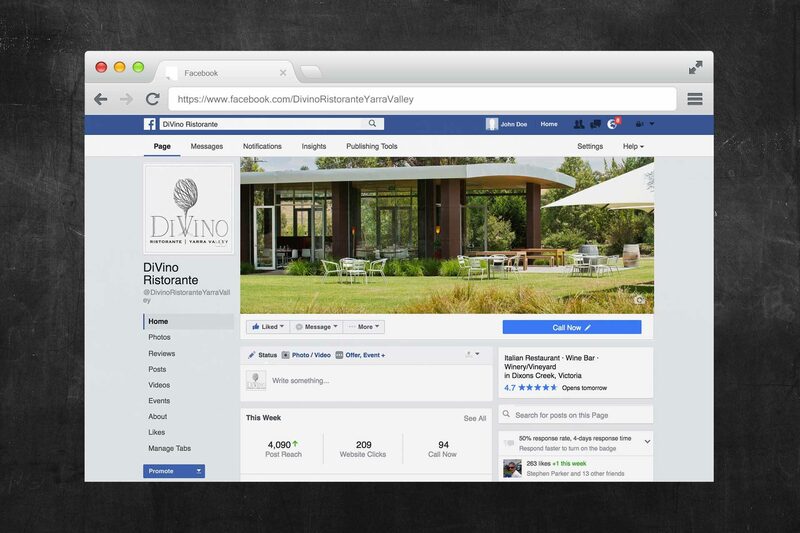 Creative assets such as Facebook and Instagram banners, combined with hashtags relevant to the target market audience were used strategically to promote the restaurant and direct traffic flow to the website. Featured posts included blog articles, teaser videos (youtube) and new dishes on the menu.